Being a parent to one toddler is no small feat, and having two kids is even more of a challenge. 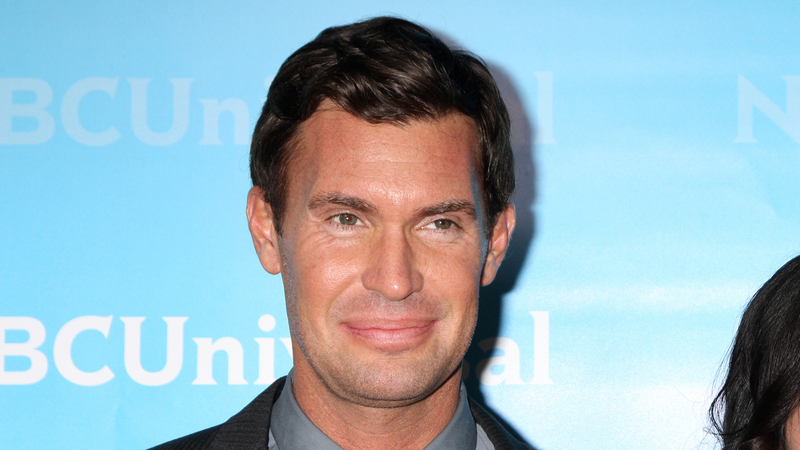 But Bravo’s Flipping Out star Jeff Lewis is determined to try for another baby — “with or without” partner Gage Edward. Lewis and Edward have one child together, an adorable 2-year-old named Monroe. But Lewis dished on Jeff Lewis Live, the SiriusXM radio show he hosts for Radio Andy (the brainchild of Andy Cohen), that he is ready for kid No. 2 — even if he embarks on the parenting journey alone this time. “Within the next year, with or without Gage, I’m going to pursue having another child,” Lewis told his listeners. “I need to hire a few more nannies,” he also joked. Yikes. Lewis is known for his frank way of speaking, but who knows what Edward might think about his ex “joking” about using his DNA to create another baby. The pair had spoken publicly about their desire to have another child through IVF using one of Edward’s embryos back in 2017, but now that the duo has split, Lewis might need to think again. Another potential hurdle is the fact that he’ll need to find a new surrogate, as the woman who carried Monroe eventually sued the couple in a case that is probably going to trial. Only time will tell, but in the meantime, you can keep up with Lewis and his future plans by listening to his radio show on Tuesdays, Thursdays and Fridays at 11 a.m.